PUTRAJAYA: Voters in the Rantau constituency will go to the polls on April 13 to elect their new representative for the Negri Sembilan state assembly. Election Commission (EC) chairman Azhar Azizan Harun said the nomination date for the Rantau by-election will be on March 30. All contesting parties will have 14 days to campaign, he said, adding the commission will form four enforcement teams comprising the police, local council and candidates' representatives as well as EC officers. Early voters will cast their votes on April 9. Azhar said there are 20,926 registered voters comprising 20,804 ordinary voters, 118 early voters and four absent voters. There will be 541 disabled voters, he added. “The EC estimates the cost to run the Rantau by-election to be RM1.8 million,” he said after chairing a special meeting with the newly appointed EC members to decide on the key dates for the Rantau by-election. Rantau will be the seventh by-election held after the 14th general election (GE14) which took place in May last year. The previous by-elections were for the state seats of Semenyih on March 2 recently; Sungai Kandis (Aug 4 last year); Balakong and Seri Setia (Sept 8 last year). 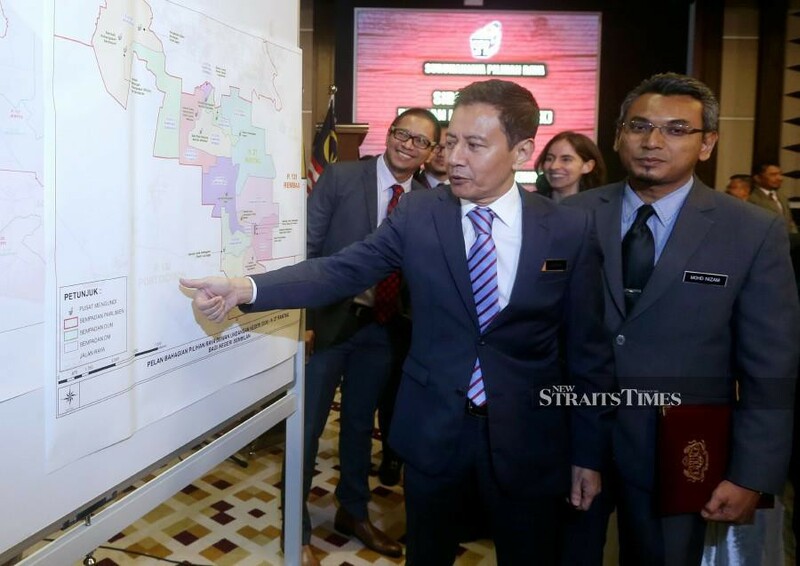 Two by-elections were held for the Parliamentary seats of Port Dickson (Oct 13 last year) and Cameron Highlands (Jan 26, 2019). Answering a question on how much the EC has spent so far on by-elections post-GE14, Azhar said the commission had spent RM15.3 million for all by-elections including the estimated cost for the upcoming Rantau by-election. The Rantau by-election had been triggered by the Federal Court's dismissal of an appeal filed by incumbent Barisan Nasional's (BN) Datuk Seri Mohamad Hasan to set aside the Nov 16 Seremban Election Court decision declaring his unopposed victory in the GE14 as null and void. In the last general election, Mohamad was declared the winner of the seat after his potential Pakatan Harapan (PH) opponent, Dr S. Streram of PKR, was prevented from entering the nomination centre to submit his nomination papers because he did not have a pass issued by the EC. The EC chairman also said 515 people had been appointed to manage the Rantau by-election process. The EC, he said, will use the multipurpose hall at Sekolah Jenis Kebangsaan (Cina) Bandar Sri Sendayan as the Rantau by-election nomination and official vote tallying centre. Azhar said the EC is estimating a turnout of 70 per cent.